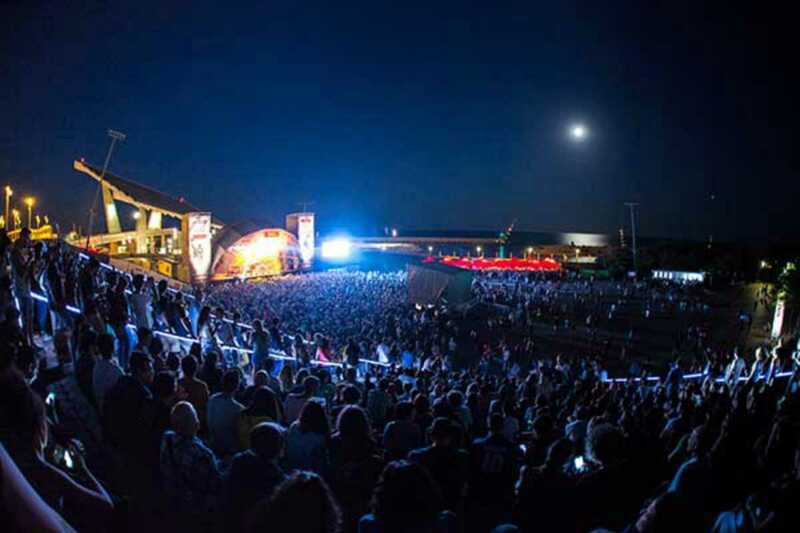 July sees the fifth edition of Barcelona’s much-loved Cruïlla festival taking place at its usual home at the Parc del Fòrum. Nearly fifty artists will perform on five stages over the long weekend. It is the festival most favored by the city’s locals, a fact helped by its relatively cheap ticket prices and a 20% discount for the unemployed, something other festivals tend to overlook. Friday, July 10th. Cruïlla has always been supportive of hip hop acts, having featured legends such as Public Enemy, Cypress Hill and Snoop Dogg. This year they have an artist whose time has truly come: Kendrick Lamar. His album To Pimp a Butterfly is already perceived as a game-changer, bringing anger and righteous indignation in a post-Ferguson US back into rap music, which for too long has been obsessed with bling and self-aggrandizement. It’s good to see Afro-Caribbean funkateers Osibisa back on the festival circuit. Originally formed in London in the late ‘60s, they’re best known for their huge international hit “Sunshine Day” from 1975 that has been remixed and re-released many times. They effortlessly fuse together Afrobeat, funk and jazz to create a truly uplifting experience. Barcelona’s critically acclaimed Seward also appear this day, bringing their own brand of alternative rock to Cruïlla. Experimental and unique, they are hailed as one of the city’s most original and creative bands. Every festival needs a band like California’s Vintage Trouble to get things off to a riotous start. Their high-energy rock ’n’ soul would take the roof off, if there was one. The band’s not-so-secret weapon is singer Ty Taylor, who has the voice of Wilson Pickett and the dance moves of James Brown. Their music is authentic ‘60s Stax Studio-style RnB – unmissable. Saturday, July 11th. If you have even a passing interest in soul and hip hop, the highlight of this day has to be the enigma that is Lauryn Hill. From her days with the Fugees and her classic album from 1998, The Miseducation of Lauryn Hill, she has always been a controversial and uncompromising character – in many ways not dissimilar to Nina Simone, whose song “Feeling Good” she covers for the new documentary What Happened, Miss Simone? Despite Hill’s problems with the IRS – she served three months in jail in 2013 for tax evasion – she’s back stronger than ever and touring extensively to high critical praise. On paper it sounds like an unlikely partnership, but FFS, the collaboration between indie superstars Franz Ferdinand and ‘70s glam maestros Ron and Russell Mael, aka Sparks, has turned out to be one of the hottest tickets of 2015. Their self-titled studio album came out in June on Domino Records and has been receiving excellent reviews. Rapper turned soul singer Aloe Blacc has ventured into commercial pop territory in the last few years, singing with the likes of Avicii. But let’s not forget this is the same guy who brought us the classic anti-austerity anthem “I Need A Dollar” and his show at La Mercè festival in 2011 was easily the best live performance of that year. It’s a fact that Catalunya loves ska… therefore Cruïlla should definitely love Los Granadians. Hailing from Granada, the band have been around for fifteen years, with their own Andalucian brand of high-energy reggae and ska. Their latest album, La Onda Cósmica, has just been released this month. Sunday, July 12th. The final day of Cruïlla has a much more local, Catalan flavor, with pop, folk, indie and rumba sounds from bands such as Línia Maginot, La Folie and Sense Sal plus visiting Israeli singer Asaf Avidan. Putting the music aside for a moment, there have been a few other developments at this year’s event that are worth a mention. The food available for fans at the city’s festivals has historically been a sad and sorry affair – think grim warmed-over pizza or soggy noodles. This year, however, Cruïlla have clearly taken a look at the success of the recent street food fairs and invited some of the city’s finest food trucks along to give people some fresh choices. Also, for the first time, Cruïlla will be a cashless festival; you simply charge up your “smart wristband” with money at the beginning of the event and swipe it to buy drinks, food and merchandise. Any remaining funds will be returned on leaving the Fòrum. So once again it looks as if Cruïlla is shaping up to be one of the highlights of Barcelona’s festival season, with some original programming and fresh ideas to create a great experience without breaking the bank.